Need IT and business skills training? Now through May 13, you can purchase thousands of Global Knowledge-delivered courses for 50 percent off list price. Visit the Global Knowledge website for full details. For questions and to register, contact Irina Borovitskaya, Duke’s Inside Sr. Acct. Manager at (919) 461-8663. What are the Top Ten IT Skils for 2014? February 28, 2014 / 1 Comment on What are the Top Ten IT Skils for 2014? See what make the Top 10 list on this Global Knowledge blog post. Webinars – Watch for live webinars each month on the latest industry trends covering existing and emerging product technologies. You may also select from our extensive library of popular on-demand webinar topics, which are available 24 hours a day, seven days a week. Videos – Global Knowledge subject matter experts discussing a range of topics, including product tips and tricks, preparing for certification exams, and how to get the most from your training experience. White Papers – Get the latest information on the hottest IT and business topics directly from our expert instructors and training partners. 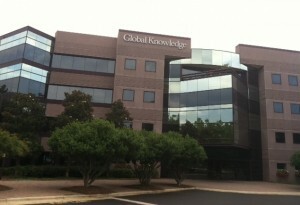 Duke employees can receive special discounted pricing on selected training from Global Knowledge. Global Knowledge is a worldwide leader in advanced IT and business skills training. Topics & certifications include: Cisco, Microsoft (including SharePoint), ITIL, project management, server management, IT security, VMware, web design and more. To browse the online catalog, view upcoming training offering and register for classes, go to Duke’s Global Knowledge Web Portal. NOTE: You will need to create a user profile prior to registering for any of the courses listed. 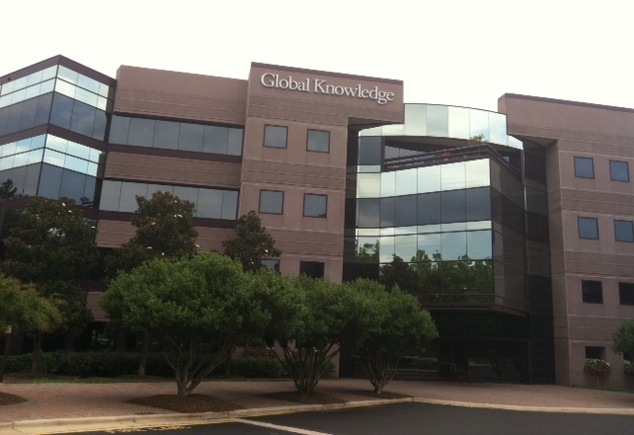 Duke employees can receive special discounted pricing on selected training from Global Knowledge. Global Knowledge is a worldwide leader in IT and business skills training. Topics & certifications include: Cisco, Microsoft (including SharePoint), ITIL, project management, server management, IT security, VMware, web design and more. 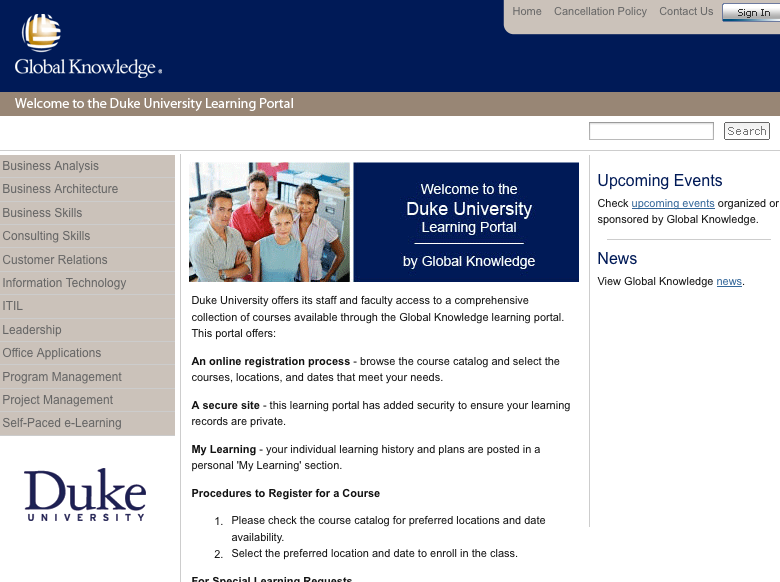 Go to Duke's Global Knowledge Web Portal to browse & register for training.